When it's time to paint your child's room, you'll probably consult your child for their input. 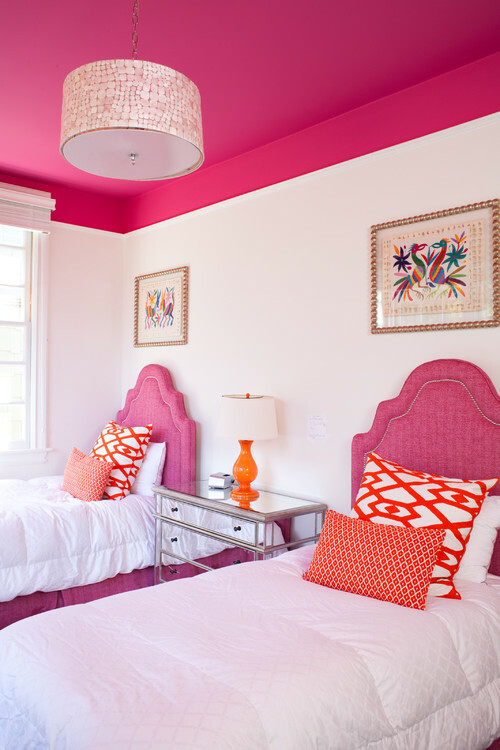 Maybe you'll agree to paint the room in your child's favorite color. 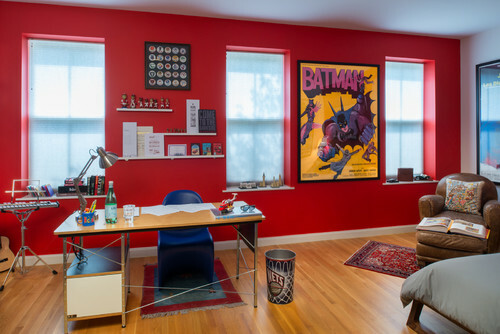 While your child's input is important (they'll be the one spending time in the room, after all), don't overlook the importance of color psychology. The color of paint in your child's room can affect her mood -- and sometimes in dramatic ways. Children can actually be extra sensitive to the impact of certain colors. So paint wisely. 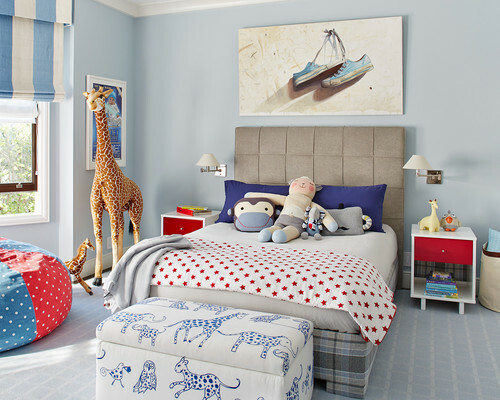 Read on to learn what you need to know about the psychology of kids' paint colors. Red is energizing and exciting. It can actually increase heart rate and blood pressure, and it stimulates appetite. A bank even found that their lines moved faster when they used red in their lobby. While red is stimulating, it can also produce greater feelings of anger and hostility. Kids and energy often go hand in hand, so be careful about adding an element to a bedroom that will increase energy (and may increase anger). Typically, red is great for an accent wall. Much more than that could make things a bit too intense for your child. Pink calms emotions, and can even help to increase empathy and nurturing feelings. Because it's so calming, it's a great color for both boys and girls, but too much of a good thing can overstay its welcome. When exposed to a lot of pink, children tend to tire of the color. Small accents are typically the best choice. Orange is cheerful and friendly. Children tend to play more cooperatively in orange rooms, and the color even inspires confidence. But like red, too much can be overwhelming. Orange is great for accent colors in a kid's bedroom. 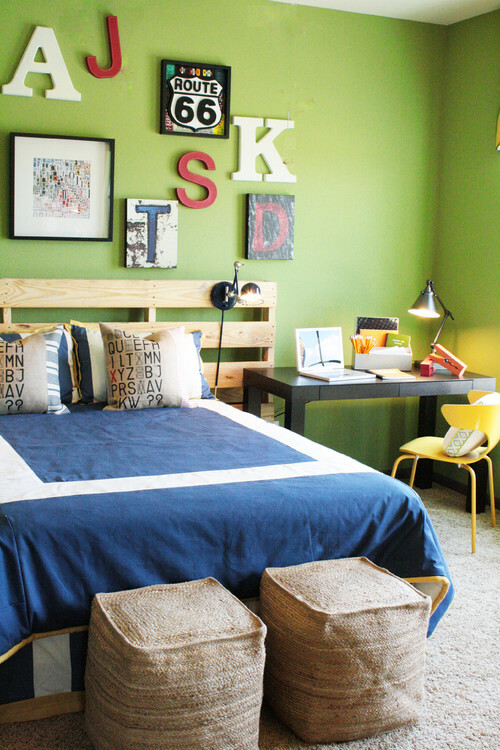 Green makes us think of nature, and often has a calming and soothing effect on children (and adults!). This can be especially helpful for children who struggle with anxiety. While red and orange should be used sparingly, green is safe to use around the room. Blue is great for children who have behavioral problems because it has a very soothing effect. It reduces anxiety and anger. Balancing it with the confidence of orange or the cheeriness of yellow produces a well-rounded feel for a room. Purple is associated with passion, creativity, spirituality, and sensitivity. Too much can be overwhelming, so it's typically best to use this color as an accent. Decorating a kid's room is fun and exciting. Involve your child in the process to make sure you choose colors and accents that will make them happy. When you choose New Life Painting to freshen up your Central Coast space, you get access to our professional colorist, who will analyze the space while taking both yours and your child's opinions into consideration. This will help you make a painting decision you'll feel good about. Give us a call at (805) 937-9836, or contact us online for a free estimate.